Christmas? Who can think about Christmas paper in August when it is over 100 degrees outside!? It was not hard with this cute paper! I love the new stamp set Ornamental Cheer! The shapes were cut on the Art Philosophy Cricut cartridge! CTMH is still producing product to coordinate with it even though we have a new cartridge! 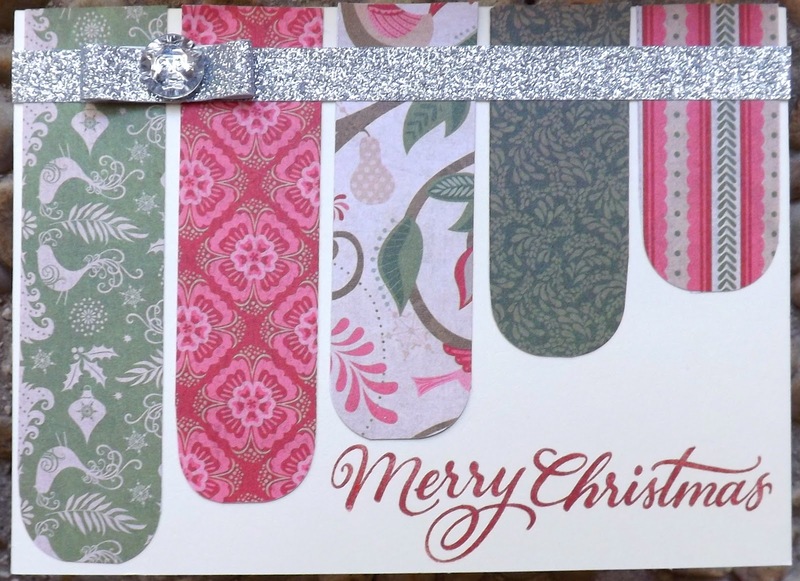 Our new Silver Shimmer Trim is used on this card! It is self adhesive and easy to use and add glimmer to any project you are working on! 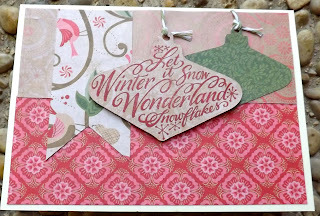 I also used the Merry Christmas sentiment from the Ornamental Cheer stamp! 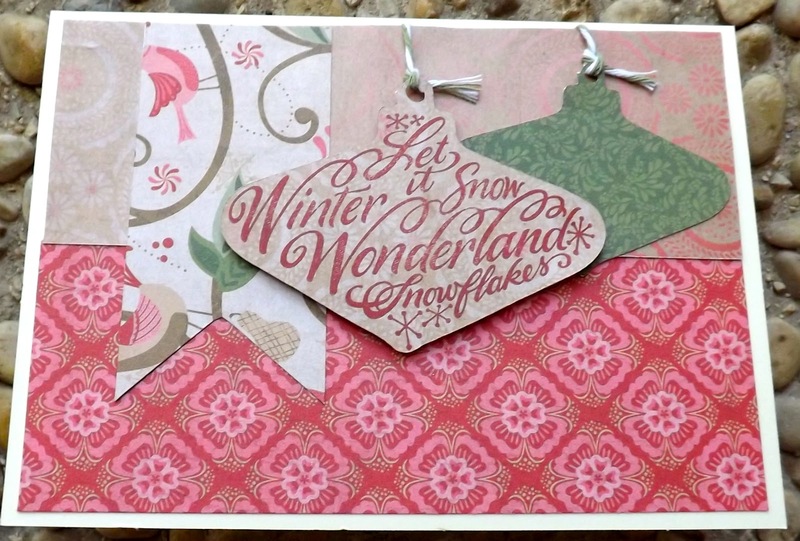 Looking forward to creating a Christmas card workshop with this paper as well as page layouts for a workshop too!